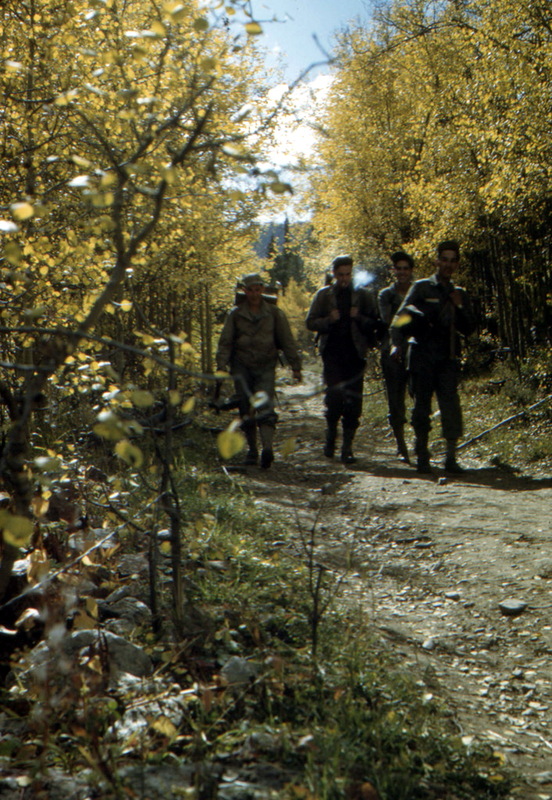 Four U.S. 10th Mountain Division soldiers, also known as "Mountaineers" walk down a trail lined with golden aspen trees, 1943 or 1944; they wear knapsacks and khaki uniforms. There was a great deal of improvisation in unit tactical training for the first (and only) American mountain division. It was one thing to teach individuals skiing, snowshoeing, technical climbing, and cold-climate survival, but it was another to develop and teach tactics and weapons employment incorporating these skills in extreme terrain and weather conditions.